Meet by 6:30 at Honiton Community College or at the venue out of town stated on home page. Note we only have permission to meet at HCC on Mon-Wed nights. All other nights please use car park nearby. See location of meeting point on right of home page. Run normally in town or Pub Run or Handicap. See weeks diary on home page. 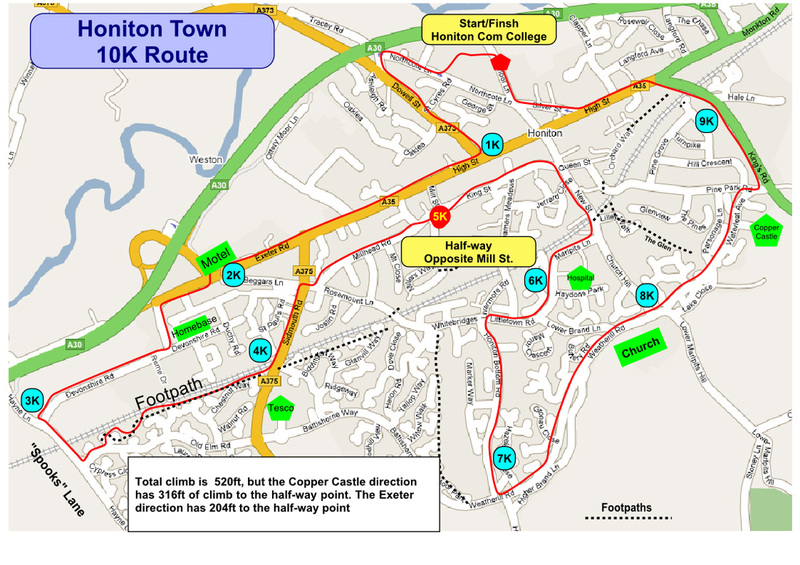 Faster Group run from market car park at 6:30pm. 5K timed run in grounds of Killerton or Exeter. Free to enter but need to print barcode before 6pm friday. Click on Names above for more info at each site. Many others around UK. Occasional long runs in the countryside announced on the email group or Facebook or by word and mouth. 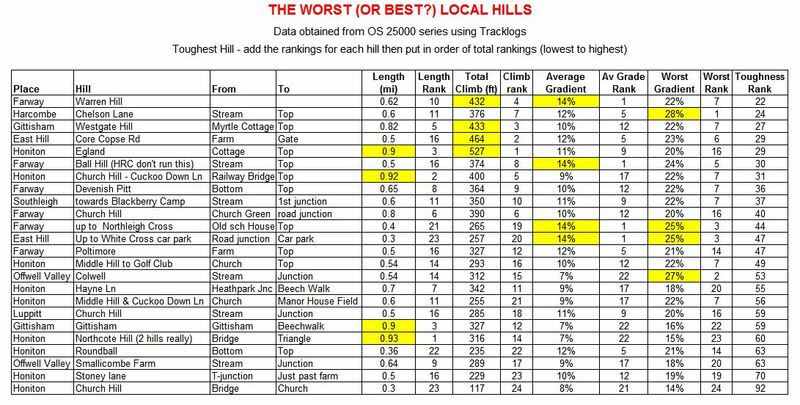 This is a list of the many of the local hills, most of which we run. Each hill is ranked in order of lenght, total climb, average gradient and worst gradient. The rankings are added together and then put in or of total (lowest to highest). Warren Hill comes out as the worst hill and Church Hill as the easiest - funny that it never seems easy on a cold, rainy, winter's night. Data taken from OS 25000 series using Tracklogs computer programme.